Complete Civil Work in Foundations, Cable Trenches, Paving, Fire Proofing Etc. Structural Steel Fabrication, Erection and Painting Works Including Roofing and Cladding Work for Hydrogen Generation Unit. 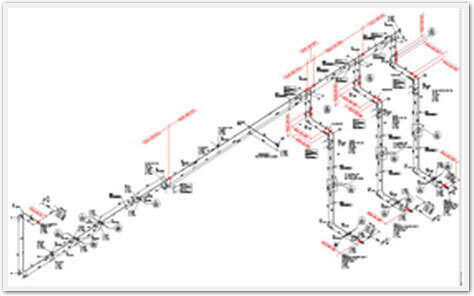 Detailed Engineering and Fabrication Drawings. Supply of All the Construction Equipments Like Cranes, Mixers, Etc., Manpower, Tools & Tackles and Consumables. Testing Facility for Civil Activities. Dismantling and Changing of Complete Gas Turbine, Carrying Out Complete Overhauling of Gas Turbines During Shut Down. Supply of Construction Equipment, Manpower, Consumables and Tools and Tackles. Overhauling Work of Turbine and Generator. Fabrication of coal silos including "SS" lining supply of construction equipments like cranes, automatic welding machines, manpower, tool & tackles, consumables etc. Site grading and leveling work nallah diversion work. All construction equipment, tools and tackle manpower and management consumables, water and electricity.